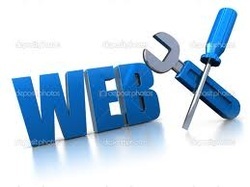 Why you need a WEBSITE! Fry's Computer Guys is a business serving Myrtle Beach, Conway and Nationwide providing technology services and solutions to both large and small companies. We optimize organizational performance by mapping strategic goals and objectives to IT initiatives. We provide the power that our clients need in today’s competitive market. Fry's Computer Guy's is a customer oriented company utilizing the latest technology. We are innovative and creative, and offer solid support to each client personally. Fry's Computer Guys is your one stop iDevice Repair center and Information Technology firm. Our well trained IT professionals have everything necessary to take care of all Apple and PC computing needs. We provide high quality, affordable computer installations, training, PC and Mac repair, technical support, and Web Site Design/Hosting, to any size business or residence. We also offer networking services for residential and business customers. Our office is conveniently located @ 1933 Highway 544 near Coastal Carolina University. Contact us at 843.331.1244 for your business or residential computing solutions. Service and Repair for Apple iMacs & Laptops.